Quannapowitt Radio Association member Tom Charbonneau, NZ1X has announced that he will hold a Technician Amateur Radio class with CW instruction beginning in either late February or early March, 2007. Details of the class will be published in an upcoming issue of QRA News. The Reading-based radio club meets the third Thursday of each month at 7:00 p.m. in the Reading Senior Center, at 49 Pleasant Street. 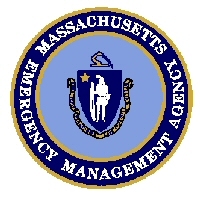 As a follow up to the presentation at Boxboro by Don Carlton and myself, I want to pass on to everyone the new MEMA training web page. This includes class listings, descriptions and online registration. On the right side of the page, is “Training Registration System”. The training  and registration is Free. All hams involved in EMCOMM with local communities and served agencies should take: ICS-100,  NIMS-700  as well as ICS-200 if you are involved with any community’s EOC. The Quannapowitt  Radio Association will hold a Technician licensing class every Tuesday night for eight weeks beginning March 7, 2006 from 7:00 to 9:00 p.m. The classes are to be held in the Community Training Room of the Reading police station, 15 Union Street, Reading MA. A four-session seminar, for people interested in amateur radio communications, will be held from 7 to 10 p.m., Tuesday, Feb. 14, Thursday, Feb. 16, Tuesday, Feb. 28 and Thursday, March 2 at Concord-Carlisle High School. 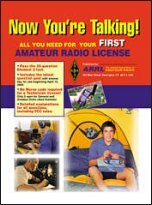 Study material will be based on the ARRL publication, “Now You’re Talking,” introducing basic radio theory. Students will also learn Federal Communications Commission rules and regulations and the information needed to operate an amateur radio station. Experienced volunteer amateur radio operators from the Colonial Wireless Association ham club will help participants pass the licensing examination. This exam given at the fourth session is based on 35 multiple-choice questions selected from a published question and answer pool, which students will be able to study. Note: The Morse code test is no longer required. Those wishing to take FCC examinations for higher level licenses on March 2 may arrange to do so with prior notice to the instructors. The registration fee is $20. The FCC exam fee is $14, and the text book is available at cost from the instructors for $15. Call Concord-Carlisle Adult Education to register, 978-318-1432 (6 to 10 p.m.) or 978-318-1540 (8 a.m. to 4 p.m.); e-mail: adulted@colonial.net. 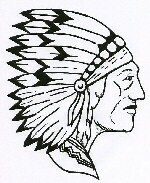 For information about Colonial Wireless visit http://www.ColonialWireless.org.